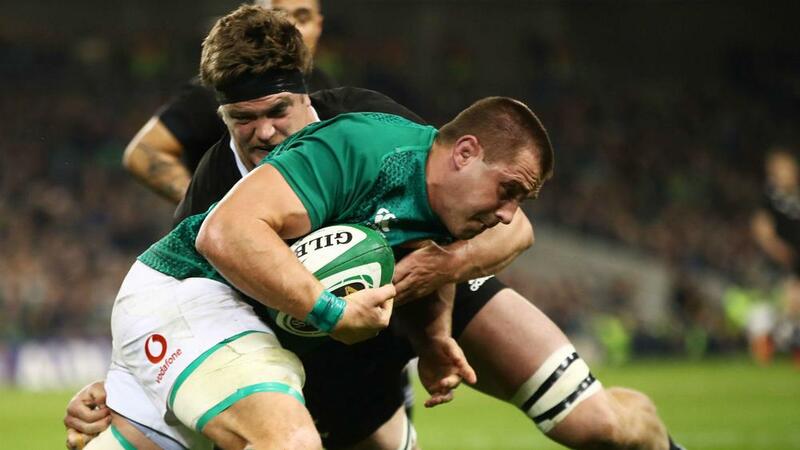 CJ Stander hailed Ireland's "unreal" defence after a stunning victory over world champions New Zealand. The hosts triumphed 16-9 at the Aviva Stadium on Saturday, sealing their first home win – and only second ever – against the All Blacks. Joe Schmidt's side, who overcame New Zealand in Chicago two years ago, were indebted to Johnny Sexton's kicking, Jacob Stockdale's try and some outstanding defensive work across the board. And Stander lauded his team-mates' efforts in a battle between the world's top two teams. "It was tiring but you don't get tired with this noise behind you," he told Channel 4 after a match played against the backdrop of an incredible atmosphere in Dublin. "We said we wanted to learn hard in this game and what a way to learn. "We wanted to get a few new guys bled and everyone stood up and gave their part and this is massive for the fans and the country. "We always pride ourselves on our attack but our defence was unreal. Everyone made it a personal battle. "There's still a long way to go until the World Cup but what a great day." A trio of Sexton penalties had the hosts 9-6 up at the break, with Stockdale's superb solo score putting Schmidt's men firmly in the ascendancy. Beauden Barrett reduced the deficit from the tee and Steve Hansen's charges applied late pressure, but Ireland remained resolute to inflict the All Blacks' first defeat in Europe since 2012.